NEW YORK – It’s March and for millions of Americans, that means March Madness. More than 60 of the nation’s top basketball squads will tip-off starting March 15 and if this year’s tournament is anything like the tournaments of the past, you can expect some upsets… and some hoops fans will seize that opportunity to storm the court. It makes entertaining TV but storming the court can be dangerous and a New York personal injury attorney at Cellino & Barnes is urging schools and arenas to take action before someone gets injured. Recently, Arizona Coach Sean Miller sounded-off about the issue after fans in Colorado stormed the court when Miller’s 9th-ranked Wildcats lost in an upset. It’s possible that someday a college athlete – taunted, attacked and jostled in a stampede – could injure a spectator. Whether it’s done on purpose or by accident, it hardly matters at this point. Miller simply foresees a lawsuit. 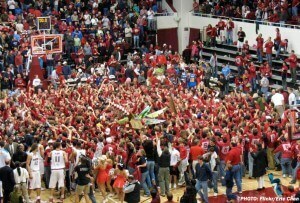 Although no one stormed the court, athletes have attacked spectators before. In 2004, NBA star Ron Artest and two of his teammates were suspended after an on-court brawl spilled into the stands. According to ESPN, one fan threw a Diet Coke at Artest, which sparked an all-out brawl. Several players and fans were later convicted of misdemeanor assault, including Artest. Several fans filed lawsuits just days after the incident. New York personal injury attorneys at Cellino & Barnes fear that a similar fight could breakout when crowds storm the courts. Fans have stormed courts countless times throughout the history of college basketball but few of those fans ever face the threat of a fine. Barnes says some schools and athletic facilities may consider introducing fines or raising the penalties for those who storm the court. Many of those who follow the sport agree that more actions need to be taken to prevent fans from entering the playing court in stampede-fashion. Not only could it prevent an unnecessary injury; it could also prevent a lawsuit. BUFFALO, N.Y. – You’ve probably been taught that driving is a task that requires 100-percent of your concentration. Anything less and you can risk getting in a serious accident. Unfortunately, very few people abide by this unwritten rule. From texting and driving to driving drunk, new figures show that 87-percent of all drivers have admitted to risky behaviors while behind the wheel. The study from the AAA Foundation for Traffic Safety found that drivers are constantly distracted by technology, the lack of sleep or drugs and alcohol. A Buffalo car accident attorney at Cellino & Barnes says this latest information should be a wake-up call for everyone. Distracted Driving, Drowsy Driving, Impaired Driving, Red-Light Running, Seat Belt Use, and Speeding. According to the study which polled nearly 2,500 licensed drivers, most vehicle operators view distracted driving as a bigger problem today than it was just three years ago. Still, more than 2 in 5 drivers admitted to reading a text message or an email while driving in the past 30 days. 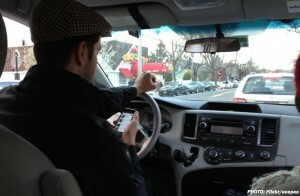 Nearly 70 percent of the drivers polled reported talking on a cell phone while driving. Despite a new emphasis on preventing distracted driving, impaired driving was found to be prevalent as well. More than 1 in 8 drivers admitted to getting behind the wheel when their alcohol level may have been near or above the legal limit. Alcohol-fueled crashes cost the country more than $50 billion each year. Buffalo car accident attorneys at Cellino & Barnes hope the new research influences drivers to cut their risky behaviors while behind the wheel. Not only could it save you money and the headaches of any potential legal action; it could also save your life. NEW YORK – Your ladder can be a great a tool if used properly but more people – men in particular – are getting injured or even killed while using a ladder. The issue is becoming so prominent that some experts are now strongly recommending the use of a helmet in all settings, even if you’re just working at home. According to a recent study, this kind of accident almost exclusively affects men over the age of 55. The study examined over 500 falls from different heights and researchers determined that some falls from just three feet could be deadly. A Manhattan construction accident attorney at Cellino & Barnes says ladder safety isn’t emphasized enough in many work zones. Of nearly 550 admissions after ladder falls, 58 people were taken to an intensive care unit. Of those 58 emergencies, 26 were immediately checked into a nursing home or rehab facility. Just 17 made a smooth recovery from their injuries and returned home. The remaining 15 died as a result of their injuries. Researchers believe the dramatic increase in ladder accidents is linked to the ageing baby boomer population and, in part, to ‘do-it-yourself’ home improvements. Manhattan construction accident attorneys are now urging those over 55 or those who are inexperienced to at least wear a helmet while working on ladders. Cellino says the benefits of helmets far outweigh any inconvenience and they are proven to minimize the risk of the most serious injuries. The team of researchers behind the ladder study is currently planning a second study – hoping to identify the exact cause(s) behind the increased number of ladder falls. This will begin in March. NEW YORK – Whenever you see a crane towering over your neighborhood, the thought might cross your mind: what if it falls? Some construction professionals now consider that possibility every day after heavy crane collapsed in Tribeca earlier this month. City inspectors are investigating the accident, hoping to discover the cause of the crane collapse that killed one person and injured three others. Initial reports suggest a 40-mph wind gust caused the crane to tip, according to the New York Daily News. 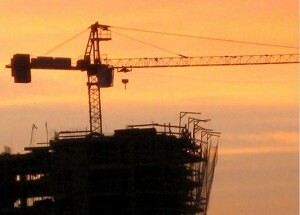 At the time of the incident, there were over 400 cranes in operation across the city. A New York construction accident attorney at Cellino & Barnes says it’s important for every company using cranes to reassess safety. Hundreds of workers and pedestrians have been injured over the past year as the city experiences a building boom. New York construction accident attorneys say other cities watching, too. Places like Buffalo and Rochester have all reported more construction permits. MELVILLE, N.Y. – There is a good chance your vehicle is under recall. Recently, we’ve seen an unusually high number of auto recalls – in 2014 alone, 64 million cars were recalled in the United States. That was a new record and due to Volkswagen test-cheating software and the ongoing Takata airbag fiasco, dealers and repairmen could be busy for months, if not years. It is now estimated that nearly one of every five cars in the U.S. currently needs repairs due to an open recall, according to a new study from Carfax. More than 47 million vehicles have at leat one unfixed recall, the company’s annual research found. A Long Island defective product attorney at Cellino & Barnes says repairing a recalled vehicle is extremely important but many vehicles don’t get recalled until it’s too late. During 2013, several automakers began large recalls due to faulty Takata-made airbags. One car company stated that it knew of more than 100 injuries and eight deaths that were directly related to the airbags. 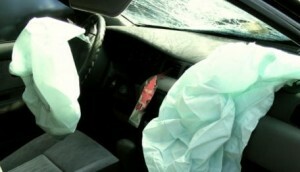 However, some reports state that problems with the airbags may have begun in the late 1990s or early 2000s. In 2014, General Motors recalled around 800,000 cars due to faulty ignition switches, which could shut off the engine while the vehicle was in operation. This seemingly random shut down of the vehicle would completely turn off the engine and prevent the airbags from inflating. The recall grew throughout the year to reach 30 million vehicles worldwide but not before at least 124 people were killed and many others injured. Many GM workers have since admitted that they knew of the faulty ignition switch for at least a decade before a single vehicle was recalled. The company continues to face lawsuits from families who have been injured due to the defective ignition switches. The Carfax study also found that SUVs and minivans were most likely to have an unfixed recall. Long Island defective product attorneys suggest checking your vehicles for active recalls on a regular basis and getting them fixed immediately if they do require maintenance. ROCHESTER, N.Y. – Caution: Falling can hurt your head. Yes, you already knew that but sometimes it can be difficult to distinguish a wet floor from a dry one or ice from concrete (see black ice). That’s why a Rochester personal injury firm is urging people to be cautious after this recent winter blast. As another winter storm punched Western New York, it created some hazardous conditions – not just for drivers but for those who use their feet to get around. Slip and fall accidents can become daily risks when winter weather strikes. In some cases, you can suffer catastrophic injuries as a result of a fall. A Rochester slip and fall lawyer at Cellino & Barnes says most property owners have a responsibility to clear sidewalks and make walkways safe for the public to use. 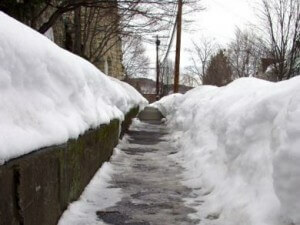 In most areas, homeowners are required by law to clear sidewalks within hours after a storm. Businesses with tile floors are also hot spots for slip and fall injuries after a winter storm. Snow, slush and ice can build up along the entryways and exits, making the tiles very slick. If these areas are not cleared, the wet floors can cause someone to slip. Rochester slip and fall attorneys at Cellino & Barnes handle many of these cases each winter. They say the best way to avoid an injury is to be proactive and to be careful. Attorneys say businesses should always be prepared with sand or melting salt during the winter months, especially when forecasters expect a storm. Just a little traction can prevent a fall… and an injury. If a property owner neglected to clear a path and you’ve slipped as a result, contact Cellino & Barnes today for a free consultation. ROCHESTER, N.Y. – You may have heard of automatic brakes but your vehicle probably isn’t equipped with the high-tech system. Most vehicles aren’t – even though the technology has been installed in vehicles since 2010. According to a study conducted by the Insurance Institute for Highway Safety (IIHS), some automatic braking systems like Volvo’s City Safety system cut the rate of rear-end collisions by 41-percent. The study analyzed police-reported rear-end crashes in more than 20 states between 2010 and 2014 involving vehicles with front-crash prevention systems. The crash rates were then compared to the rates of the same models that were not equipped with the braking system. Researchers discovered that autobrakes and warning systems in general reduced injuries by 42-percent. Volvo’s City Safety system excelled in the experiment and the IIHS reported it reduced injuries by 47-percent. Rochester car accident attorneys at Cellino & Barnes say automatic brakes have consistently shown to be a safe technology but it’s still up to the driver to be responsible on the road. Study authors said that even when a crash isn’t avoided by the automatic braking systems, the safety feature could potentially reduce the risk of serious injury by reducing speed. Researchers noted that a warning alone didn’t significantly reduce a driver’s injury risk. Rochester car accident attorneys say many automatic braking systems become less effective at higher speeds. Some of the vehicles analyzed in the IIHS study were equipped with an earlier version of Volvo’s City Safety system, which only worked at speeds up to 19 miles per hour. A newer version is available that can operate at speeds up to 30 miles per hour. Despite the speed limitation, researchers said the automatic braking systems effectively reduced crashes on roads with many different speed limits. The study noted this was likely due to congestion or traffic lights that reduce the actual speed traveled. NEW YORK – You have a lower life expectancy than many other people around the world. Despite living in a highly-developed and wealthy nation, researchers say Americans are at risk of living out shortened lives. According to the new research, the United States lags behind many other nations when it comes to life expectancy and accidents could be to blame. Researchers at the National Center for Health Statistics discovered that the gap between the U.S. and other nations is mainly due to accidents that take a young person’s life. These accidents cause decades of potential life to be lost. The researchers pinned the top three causes of early death to traffic collisions, gun violence and drug poisonings. A Queens car accident lawyer at Cellino & Barnes says many of these incidents can be prevented. The National Center for Health Statistics determined that other nations like Austria, Germany, Italy, Japan, Spain, and the United Kingdom lived longer than Americans by an average of 2 years. In the U.S., men live to an average age of 76.4 years. In other nations, men live about 78.6 years. American women live to an average age of 81.2 years. Women in other nations can be over 83 years-old, on average. Overall, deadly injuries occurred more often in the U.S. than in every other comparable nation. 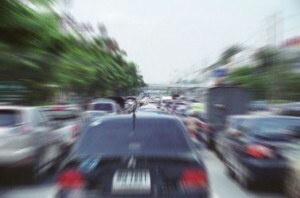 Car accidents were found to be responsible for nearly half of that life expectancy gap. Queens car accident attorneys urge drivers to be attentive and courteous on the roadways but some drivers could ignore this warning. If you’ve been injured by a negligent driver, contact Cellino & Barnes now for a free case evaluation. ROCHESTER, N.Y. – We haven’t seen many days below freezing this winter. Thank El Niño for that. But New York State is expected to get its fill of cold temperatures as the mercury is forecasted to drop into the single digits. By Saturday, Western New York should have a daily high of 3-degrees. Rochester car accident lawyers at Cellino & Barnes are urging drivers across the area to prepare for the cold spell now – before it’s too late. Currently, Lake Ontario is sitting at 38-degrees, well above average for this time of year. As far as snowfall goes, Rochester has only seen about 25 inches of the white stuff. In an average year, the city should have more than twice that amount. Rochester car accident lawyers say the lack of snow has been, in some ways, a welcome sight for drivers but the roads could be extremely hazardous when it does snow. Even if drivers don’t encounter much snowfall, there is a higher risk of car accidents in colder weather. The low temperatures can cause tire pressure to drop, increasing the risk of a blowout. Ice can form on windows, obscuring the visibility for some drivers. Cellino says it’s your responsibility as a driver to make sure your vehicle is equipped to handle the cold weather. 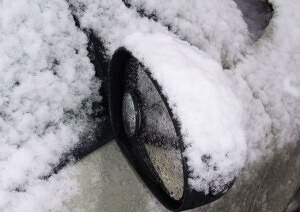 Rochester car accident attorneys say weather is no excuse for a car crash. 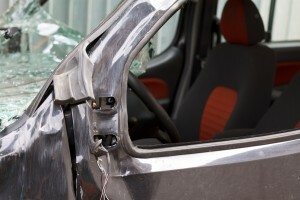 If you’ve been injured by a negligent driver, you could receive compensation. Contact Cellino & Barnes today to discuss your case for free. NEW YORK – You may have noticed your neighborhood is growing at a rapid pace and construction cranes dot the Manhattan skyline. The city is experiencing a major construction boom which has brought a number of new jobs to the area but it has also caused a number of serious accidents. On Monday, Mayor de Blasio announced the city would make several changes in an effort to improve safety for construction workers – just two days after a crane collapsed in Tribeca, killing one person and injuring three others. Among those changes, large crawler cranes would be required to stop operating and go into safety mode whenever wind speeds are forecasted to whip at over 20 miles per hour. A Manhattan construction accident attorney at Cellino & Barnes says stricter standards could prevent another accident. According to the Department of Buildings, construction is up 300 percent in New York and it’s causing some safety violations to slip through the cracks. The construction boom has left the inspections division shorthanded. Recently, the department announced it would be hiring 100 new inspectors to help tackle the increased workload but even with more inspections, some argue the penalties are not harsh enough to deter safety violators. 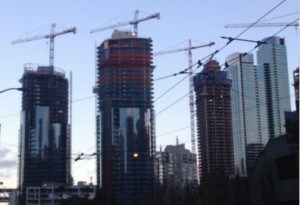 Before Monday, the fine for ignoring the wind standards for cranes was just $4,800. Mayor de Blasio said the fine for these safety violations will be increased to $10,000 – effective immediately. Manhattan construction accident attorneys hope the new changes will make jobsites safer across the city.